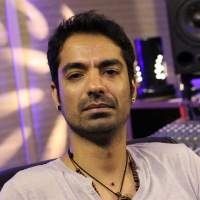 Vikrant Rathore did his Music Production course from Point Blank Studio in London. He started mixing in 1998 and later got into Music Production in 2006. He founded a music academy named ADAPT Music Academy. He is a touring artist and has played in all the big music festival like VH1 Super Sonic, Sunburn, Mountain Madness and also travels to Singapore, Thailand, Malaysia, London and other countries for Music Shows. A record producer or track producer or music producer oversees and manages the sound recording and production of a band or performer's music, which may range from recording one song to recording a lengthy concept album. A producer has many, varying roles during the recording process. They may gather musical ideas for the project, collaborate with the artists to select cover tunes or original songs by the artist/group, work with artists and help them to improve their songs, lyrics or arrangements. "I did my Music Production course from Point Blank Studio, London. I started mixing in 1998 and slowly moved in music production in 2006. I founded a music academy named ADAPT Music Academy in New Delhi. I'm also a performing artist and have participated in all the big music festivals like VH1 Super Sonic, Sunburn, Mountain Madness and also travel to Singapore, Thailand, Malaysia, London and other countries for Music Shows."